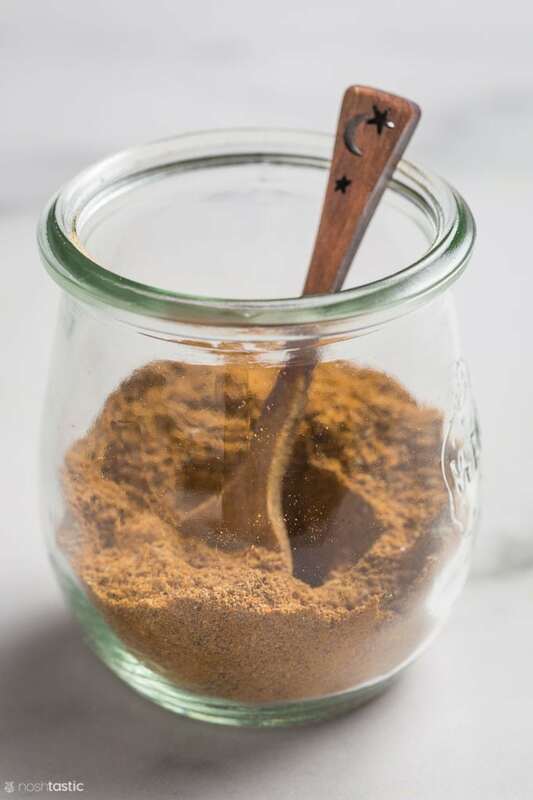 Ras El Hanout is a warming Moroccan spice blend that’s really versatile and can be used on grilled chicken, lamb burgers and much more! This North African seasoning is often used in Tagine recipes. It’s not a spicy hot blend, but has an earthy warming quality to it and pairs well with a variety of meat and vegetables. There are of course many variations of this African spice blend but my recipe contains ground cumin, ground ginger, salt, freshly ground black pepper, ground cinnamon, ground coriander, cayenne, ground allspice, turmeric, and ground cloves. 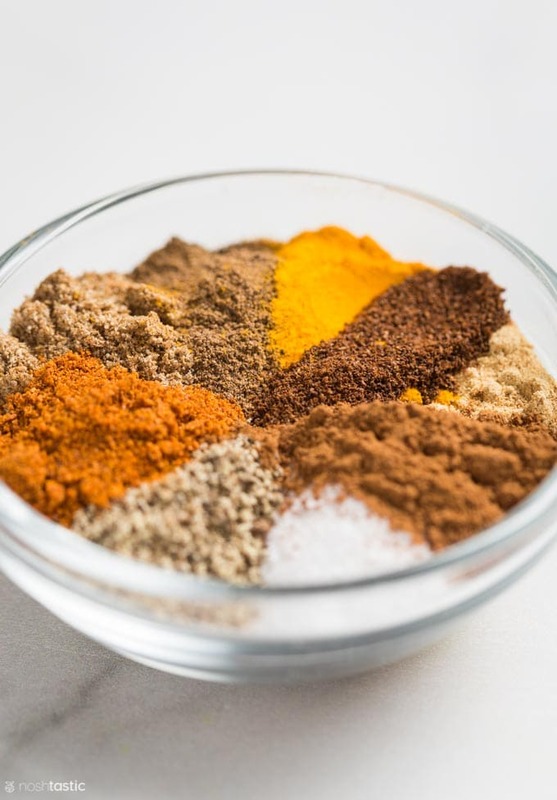 Where is Ras El Hanout From? It comes from Morocco in North Africa. The name in Arabic means “head of the shop” which simply means its the best spice blend the seller has. 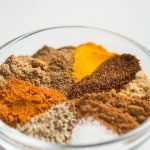 The spice mix varies widely depending on who is making it and each family and spice trader will often have their own blend. Turmeric contains curcumin which is the antioxidant compound responsible for most of its health benefits. a perfect combination of North African spices make up this seasoning blend. Mix all the spice ingredients together until combined. Store in an airtight container, keeps for a few months.